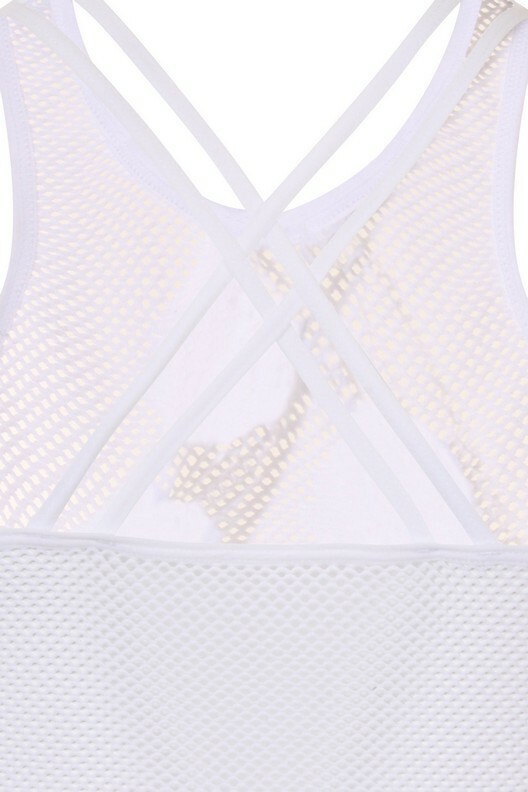 Add some style to your fitness wardrobe in our Autumn leaf mesh applique fitness bralet. 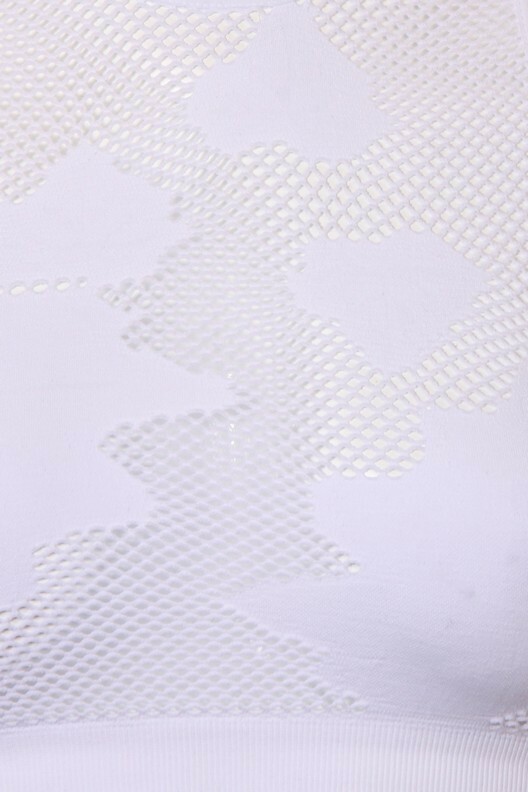 Featuring all over mesh fabric, leaf applique design on front, hi-neck and cross over back strap detail. Also available in black.